Bethany Daniel is an unknown author in my country. Ever since I started following international fellow bloggers, I discovered some amazing new authors that I hadn’t yet heard about. Bethany is one of them. She writes contemporary romances and her first book is “Reconnected”. It is stated in her website that she lives in Texas, with her husband and two sons. I admit that I didn’t read her first book, but I did read the second and I’m more than pleased for having had that opportunity. 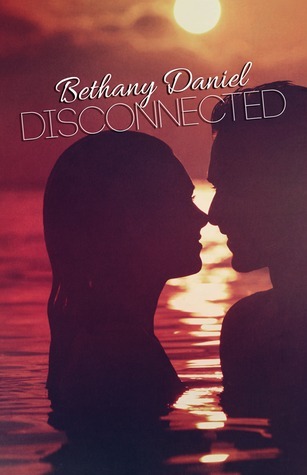 “Disconnected” tells the same story of its previous book with the small difference of being from Liam’s point-of-view (POV). I believe this story is beautifully written, with a simple vibe in the way that we forget about everything surrounding us and, of course, I find it to have a really strong and good structure. The reader knows what’s happening, from the start, and so he doesn’t seem to have the chance of getting confused with the story. Since I did not read the first installment I’m unable to compare both books, but what I can tell you is that I think that some scenes should had been more developed. Some things happen too soon, too fast. Because it is Liam’s POV we can only see what he sees, which made it a little harder for me to imagine what was happening overall, but, as I said before, I really did enjoy this book. It was refreshing! Being inside Liam’s mind was seriously interesting and it will be great to already know what he was thinking at a given moment when I read “Reconnected”—Yes, I’m going to read it, too! I look forward to the moment of when I’ll have the opportunity to do just that, and for the release of the 3rd book, which will tell Krista and Scott’s story. I can’t wait!